Take online shopping to the next level. Generate new traffic with supercharged SEO “TV Pages” that display on Google as video search results. Leverage, manage, and commission brand ambassadors to sell your products to their social audiences. Continue the omni-channel selling experience with in-store access to the highest performing video content for each product directly from any mobile device. 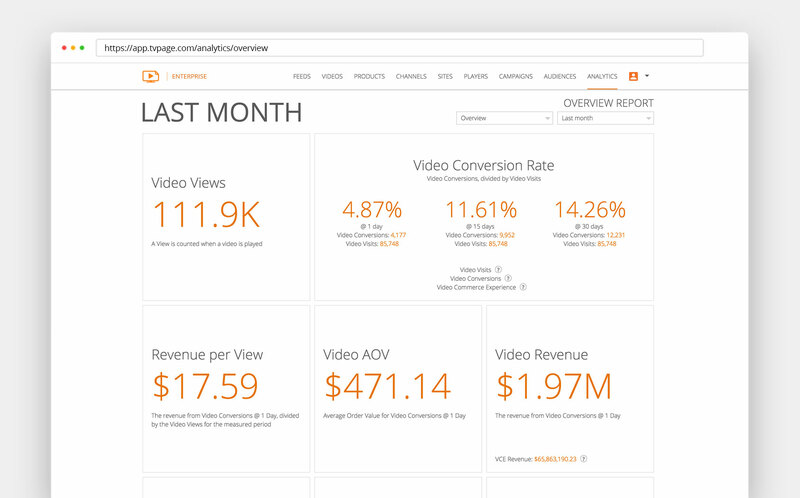 Dynamically source and match videos to your catalog and convert more visits to orders.